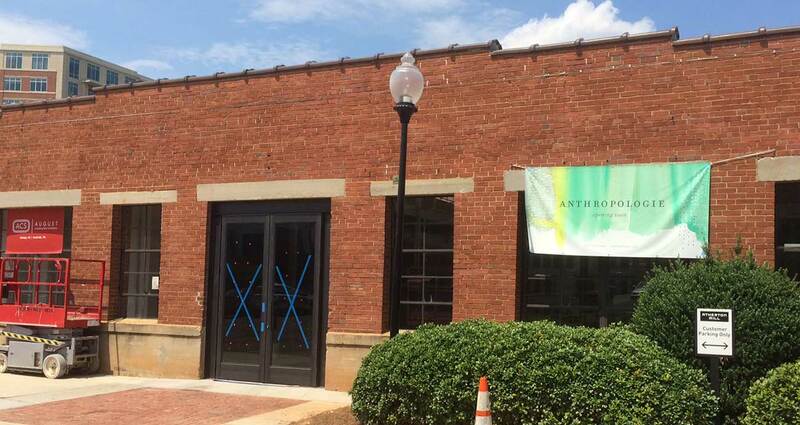 Anthropologie is opening this fall next to Luna’s Living Kitchen in South End. 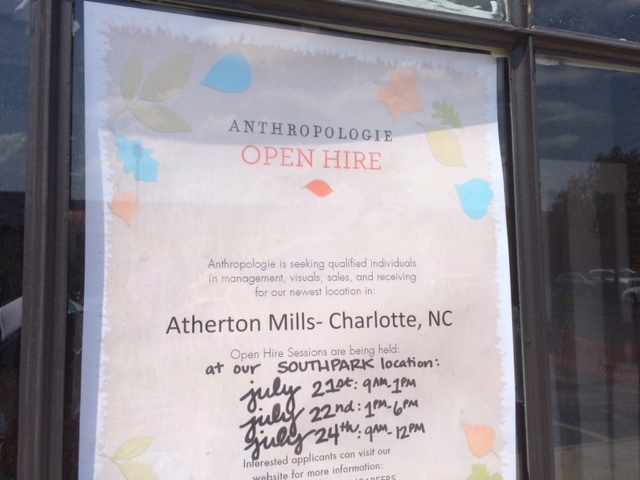 Official opening date has not been announced, although they are currently hiring staff for this Atherton Mill location. No exact open date other than “Fall of 2015” has been announced. Management Jobs: Manager in Training (MIT). Apply. 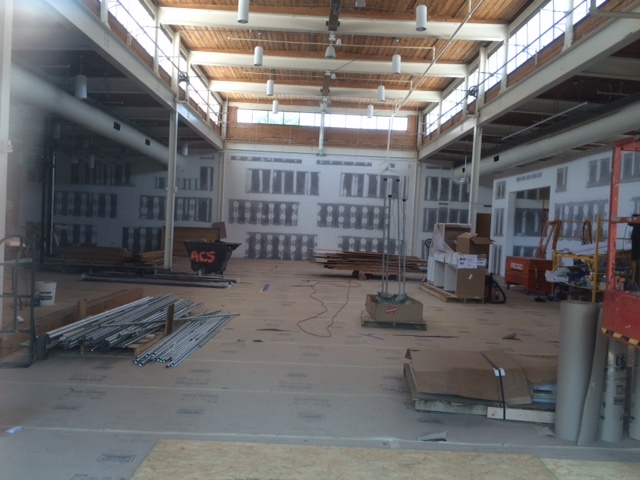 Anthropologie has over 185 stores across the US, United Kingdom and Canada. 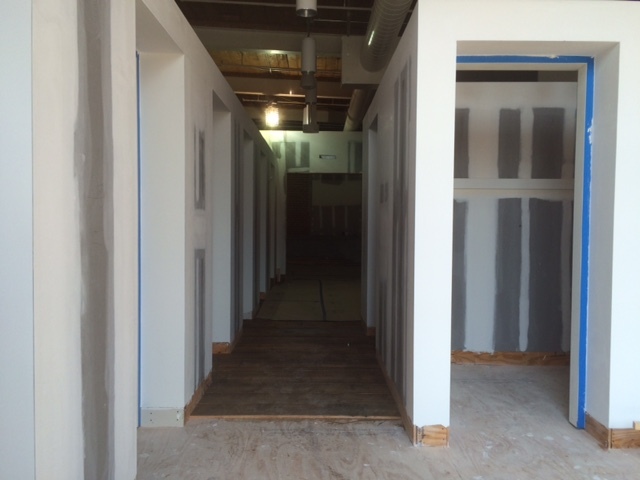 “I think a few years from now, we’ll look back at this as the start of Atherton Mill as a retail hub. 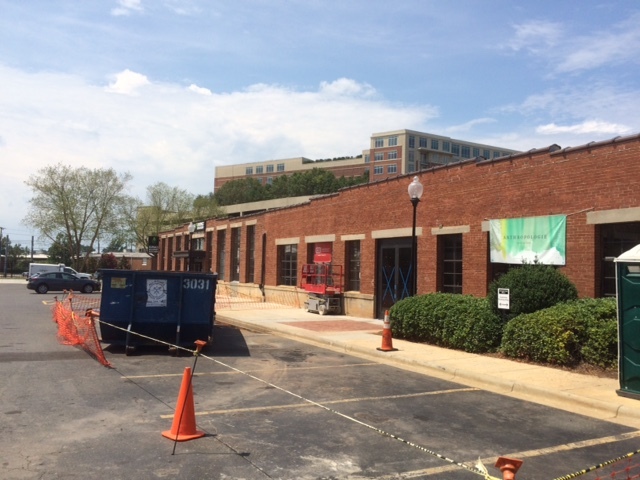 This addition to the center was carefully planned and is the first of multiple, soon to be announced steps that will solidify Atherton as the retail focal point of the South End and Dilworth communities for years to come.” – Lyle Darnall, Managing Director at EDENS. “The addition of this highly sought after and unique national brand to our celebrated South End shopping district will better serve the people who live, work and play here. 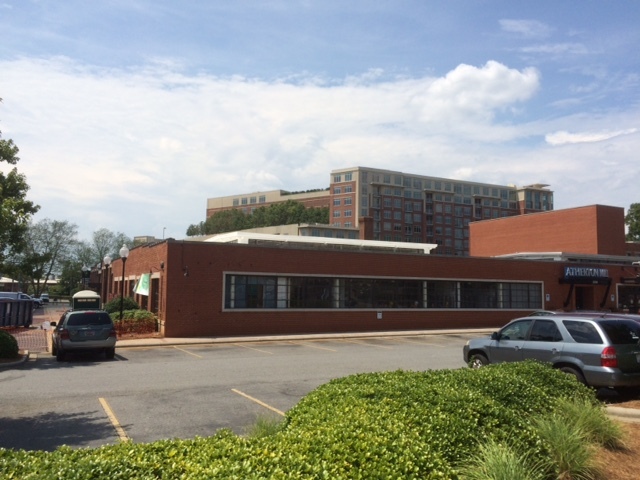 Anthropologie’s location at Atherton Mill will be in the heart of this urban neighborhood, within walking distance for thousands of residents and connected to a strong group of restaurants, retailers, our Blue Line light rail system, several Charlotte B-cycle stations and the Rail Trail. 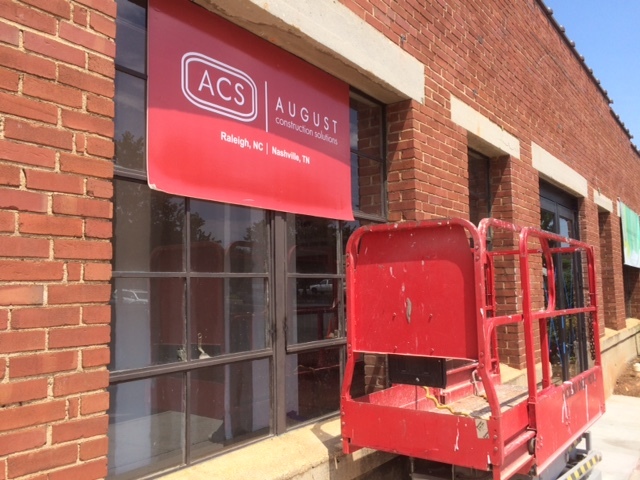 We welcome this retailer to South End.” – Michael Smith, President & CEO of Charlotte Center City Partners.